Whether you have an import shipment from Russia, or an export to go to Russia, it is important that you make arrangements to appoint a knowledgeable and reputable freight forwarder. A freight forwarder such as Mercator will be able to take care of the whole shipping process for you, advising on matters such as documentation, import restrictions, and multimodal shipments. A freight forwarder such as Mercator will ensure that your goods travel to or from Russia the most cost-effective option possible, choosing the best carriers who can handle the shipping and liaising with partner agents in Russia, to ensure a smooth supply chain. If you are looking for such an agent to handle your shipment to or from Russia, look no further than Mercator. Whether your import from Russia is coming in via air freight, sea freight or trucking, Mercator can assist with all or part of your shipment. If you have purchased goods from your supplier in Russia on a FOB (free on board) term, then we can arrange the freight, UK customs clearance and delivery to your door in the UK. If you have purchased EXW (ex works), we can arrange the whole process from your supplier’s door in Russia, thanks to having a partner agent in St. Petersburg, through to your door in the UK. Likewise, if you have purchased on a CFR or CIF basis (where your supplier arranges the freight to the UK), we can handle the UK customs clearance and delivery to your door. Air freight departures from Moscow or St. Petersburg are daily, and direct routes take less than one day in transit, adding a few days either side for loading, unloading and clearances. Air freight generally arrives into London Heathrow in the UK, where we can complete customs clearance and arrange for your goods to be delivered to your door. Sea freight departures from St. Petersburg are weekly, and take around 21 days transit time (again adding time either side for closing dates, loading, unloading and clearances). Imports from Russia come into Felixstowe, Southampton and Tilbury (to name a few). 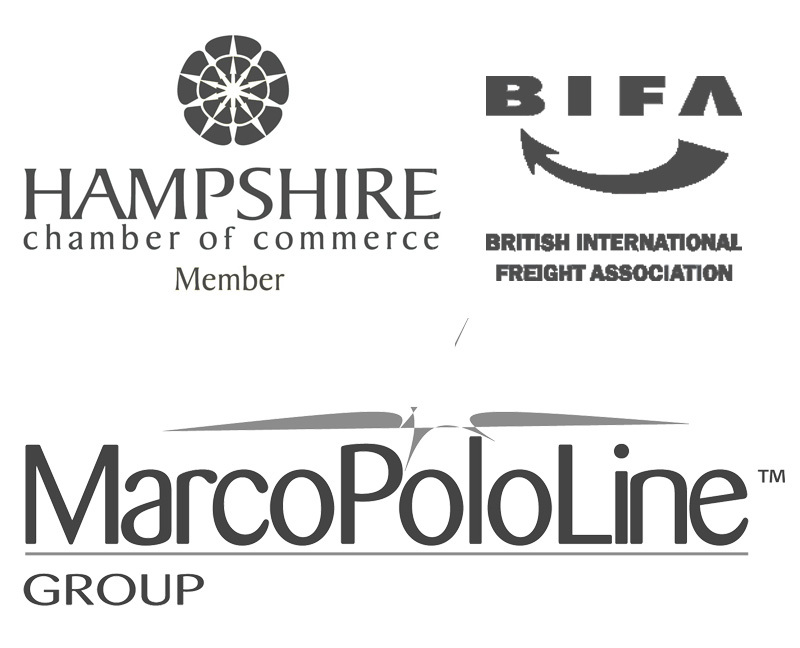 Your destination port may be dependable upon where you are based in the UK (to minimise the UK haulage costs). Trucking generally will cross over to the UK via the Hook of Holland | Harwich route. Again, this may depend on where you are based in the UK. Sometimes it might be cheaper to use a full trucking service from Russia to the UK, it will depend on the size, weight and nature of your shipment. Contact us for more information. We handle all sizes of shipments from Russia to the UK, including single pallets, less than container loads, full container loads and out of gauge shipments. So no matter how large or small your shipment is, we can handle it. Generally we handle the import of woods, construction equipment and chemicals from Russia into the UK, but we are able to handle commodities across all industries. So if you are looking for a reliable and well-established freight forwarder to handle your shipping from Russia to the UK, contact our import team to discuss your requirements and to get a quotation. With weekly departures from the main sea freight ports in the UK (including Felixstowe, Southampton and Tilbury), your shipment to St. Petersburg will take approximately 21 days transit time on the water if opting for a full sea freight service. It is also possible to arrange shipping to Russia by trucking, crossing to the continent via Harwich to the Hook of Holland. Depending upon the nature of the shipment, the dimensions, the weight, and so in, will dictate whether it is cheaper to ship your export to Russia via sea or road freight – we can provide two quotations so that you can compare. We can also arrange air freight shipments to Russia, with daily departures from London Heathrow, calling at Moscow or St Petersburg. Once your shipment has arrived in Russia, we can either assist with arranging customs clearance and ‘to door’ delivery, via our partner agent who are located in St Petersburg, or we can hand over the responsibility of the goods to your customer’s agent in Russia. The INCOTERM you have agreed with your customer will affect how much of the shipment you will be responsible for arranging and paying for. If you are unfamiliar with INCOTERMS and have not dealt with international trade much before, then we offer a service which includes advice and information, so that you can understand and make the right choices for your business.